Where will my massage session take place? Your massage or bodywork session will take place in a warm, comfortable, quiet room. Soft music may be played to help you relax. You will lie on a table especially designed for your comfort. Must I be completely undressed? Most massage techniques are traditionally performed with the client unclothed; however, it is entirely up to you what you want to wear. You should undress to your level of comfort. You will be properly draped during the entire session. Will the practitioner be present when I disrobe? The practitioner will leave the room while you undress, relax onto the table, and cover yourself with a clean sheet or towel. What parts of my body will be massaged? A typical full-body session will include work on your back, arms, legs, feet, hands, head, neck, and shoulders. What will the massage or bodywork feel like? A relaxing Swedish massage is often a baseline for clients. In a general Swedish massage, your session may start with broad, flowing strokes that will help calm your nervous system and relax exterior muscle tension. As your body becomes relaxed, pressure will gradually be increased to relax specific areas and relieve areas of muscular tension. Often, a light oil or lotion is used to allow your muscles to be massaged without causing excessive friction to the skin. The oil also helps hydrate your skin. You should communicate immediately if you feel any discomfort so that another approach may be taken. Massage is most effective when your body is not resisting. Are there different kinds of massage ? There are numerous types of massage; various techniques utilize different strokes, including basic rubbing strokes, rocking movement, posture and movement re-education, application of pressure to specific points, and more. We can discuss which methods may be most appropriate for you. What should I do during the massage session? Prior to the massage, feel free to ask the practitioner any questions about the technique or the upcoming session. During the massage, make yourself comfortable. The practitioner will either gently move you or tell you what is needed throughout the session (such as lifting your arm). Many people just close their eyes and completely relax, communicating if/when they need more or less pressure, another blanket, or anything else relevant to the session. If you have any questions regarding the session or about the particular technique you are receiving, feel free to ask. How will I feel after the massage or bodywork session? Most people feel very relaxed. Some experience freedom from long-term aches and pains developed from tension or repetitive activity. After an initial period of feeling slowed down, people often experience increased energy, heightened awareness, and greater productivity which can last for days. What are the benefits of massage? 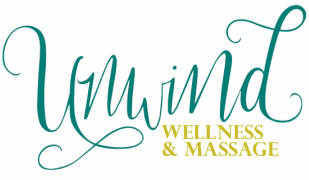 Massage and bodywork can help release chronic muscular tension and pain, improve circulation, increase joint flexibility, reduce mental and physical fatigue and stress, promote faster healing of injured muscular tissue, improve posture, and reduce blood pressure. Massage and bodywork is also known to promote better sleep, improve concentration, reduce anxiety and create an overall sense of well-being. Are there any medical conditions that would make massage or bodywork inadvisable? Yes. That's why it's imperative that, before you begin your session, the practitioner asks general health questions. It is very important that you inform the practitioner of any health problems or medications you are taking. If you are under a doctor's care, it is strongly advised that you receive a written recommendation for massage prior to any session. Depending on the condition, approval from your doctor may be required.